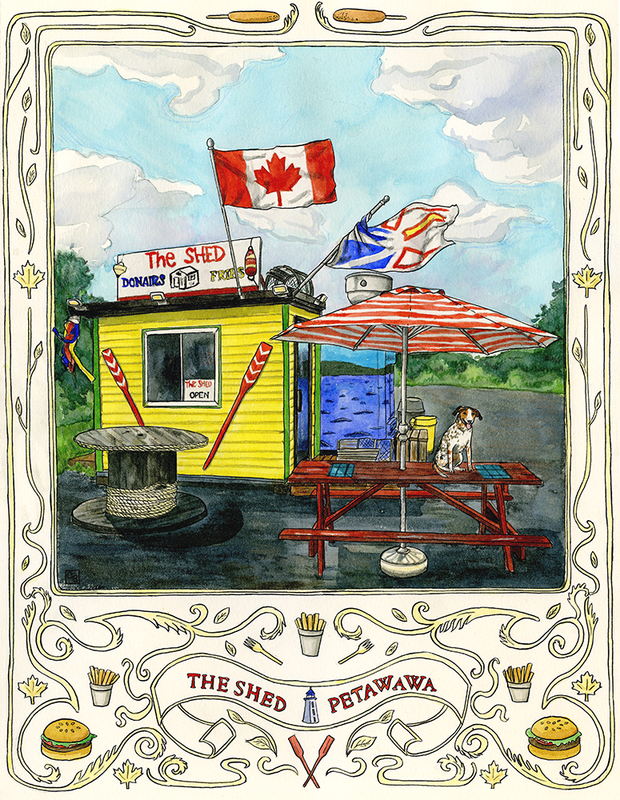 The Shed is located at 3476 Petawawa Blvd in Petawawa, ON in a vacant lot on a busy road. We really enjoyed The Shed’s nautical theme and mural, which is something we haven’t seen before in our chipstand travels. They serve the usual chipstand fare as well as “Halifax-style donairs”. We’ve never had one of those, but it sounds tasty!